It's no surprise that the holidays are stressful, especially on the roads. 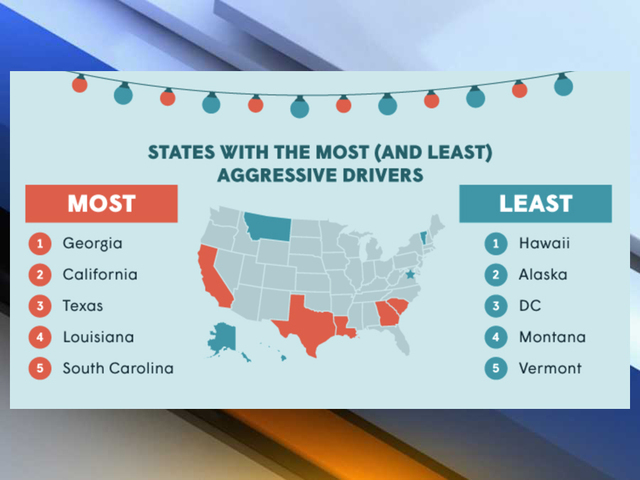 A new study by GasBuddy found that drivers are 175 percent more aggressive during the holidays, compared to the rest of the year. 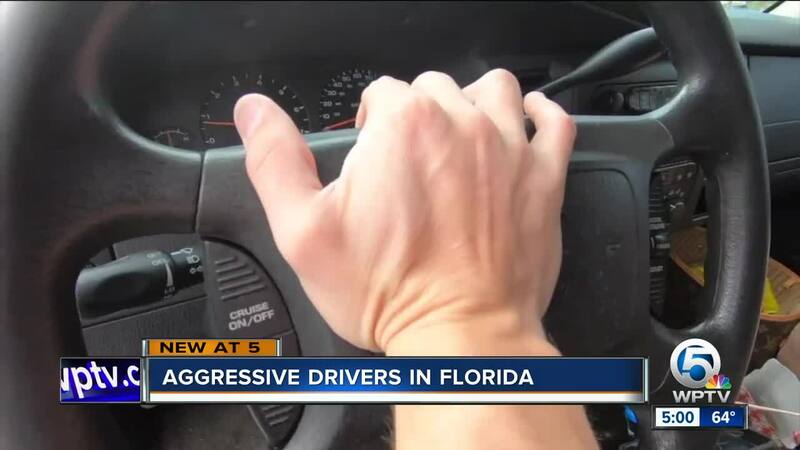 Florida is one of the top states for aggressive driving, according to the study. "I think you’ve got to become a little more of a defensive driver nowadays where you need to know what's going around you," said Lt. Alvaro Feola with the Florida Highway Patrol. GasBuddy said it examined driving data from millions of motorists who used the company's app during Thanksgiving week of Nov. 21 - 25. The study looked at the frequency of speeding, quick accelerating, and hard braking. 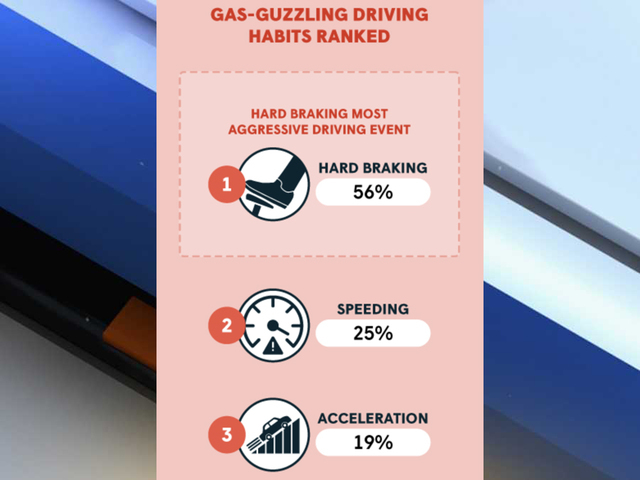 GasBuddy said aggressive driving goes up significantly during the holidays, and that can often lead to more trips to the gas pump. "As we head into December, motorists shouldn’t let the stress of the season negatively impact the way they drive," said Patrick DeHaan, head of petroleum analyst at GasBuddy. "Not only is aggressive driving dangerous but it is the quickest way to lower gas mileage by as much as 40 percent. The holidays should be the most wonderful time of the year, not the most costly at the pump."